made recently returned to THE ONE GRAND SHOW in Berlin for FAM night that we won't forget for a long time. 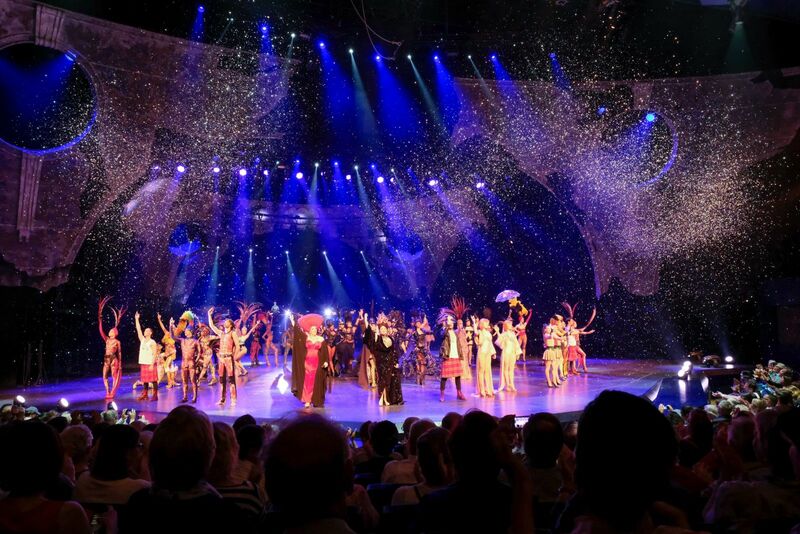 Guests were able to experience this spectacular production which features over 500 costumes designed by renowned fashion icon Jean-Paul Gaultier, the show is truly pure glamour! The piece shows an abandoned revue theater, awoken from sound sleep by an underground party. One guest loses himself, entranced by the magic aura of the place. The former theater director revives old times before his inner eye. His waking dream blurs the line between past and present. The young man increasingly senses a longing for the person in life that means everything to us – THE ONE. Revues do not have a continuing story line in a classical sense. The artistic context connecting the collage of show pictures can be found in the party guest’s dream visions. The dimensions are visually overwhelming: more than 100 artists on the world’s biggest theater stage, a production budget of more than 11 million euros; Europe’s most elaborate show. Photography by John Samson for made.